Willard, Missouri, is a smaller town located to the west of Springfield. 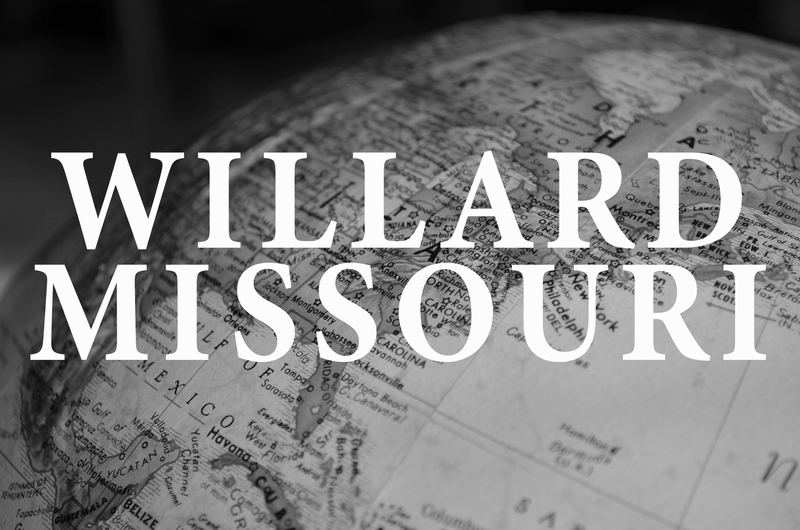 As a charming place with a focus on family and easy access to everything the Springfield area has to offer, Willard is a great town to consider when you are looking to buy a house. Learn more about what makes Willard a wonderful place to buy a house for your family. As with most small towns in southwest Missouri, one of the draws of Willard is the focus on family. The Willard school district is a 4/5 A school and consists of five elementary schools, two intermediate schools, and one high school. With a high focus on academics, sports, and fine arts, the Willard school district continually strives to provide the best for its students. Willard’s music program is considered one of the best in the nation, and the baseball and football teams have continued success year after year. Willard is also the alma mater of two US Olympians, and U.S. 160 that runs through the town is known as Olympian Boulevard. Willard also has several parks and community facilities that are open to all residents. The Jackson Street Park is home to the Willard Aquatic Center where you can enjoy swimming and playing on the water features during the hot summer months. The town also has several walking trails, a rec center with indoor basketball and a 24-hour fitness center, and several community sports fields for youth and adult leagues. If you are looking for a growing community where you can buy a house, Willard may be the perfect fit. From 2000 to 2010, the city experienced a population growth rate of over 65%, and it continues to grow year after year. Many people have chosen to buy a house in town because of the excellent schools and potential of the area. Small town life has a number of benefits, but there are some benefits and features that can only be found in a bigger city. Luckily, Willard is just a short drive to everything Springfield has to offer! Whether you work in town or just like the option of having a fun night on the town, choosing to buy a house in Willard will let you have the best of both worlds! If you are ready to buy a house in Willard, contact The Dan Holt Team today. We will help you find the perfect home to fit your needs. See what listings are available below and contact our office at 417.447.2782 to schedule an appointment with our team. Click here to view homes available in Willard.